Super simple and extra tasty!! 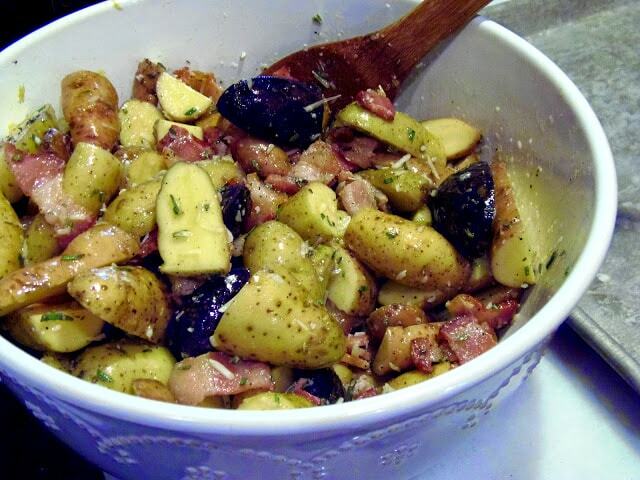 The Best Bacon Roasted Fingerling Potatoes with herbs are the perfect side dish for any occasion. 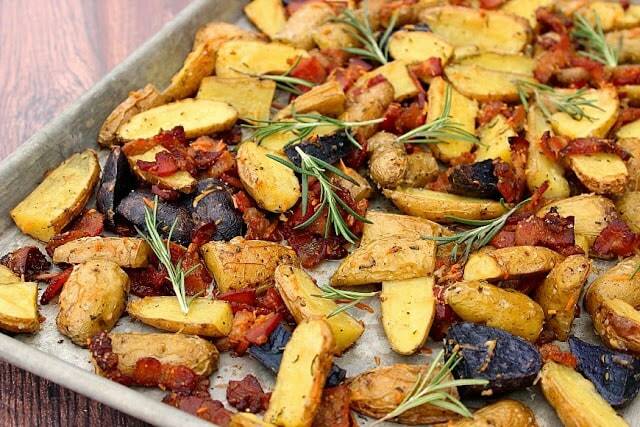 For this recipe of Bacon Roasted Fingerling Potatoes with Herbs I used the multi-colored fingerling potatoes (red, yellow and purple) that can be purchased in small bags in the produce department. 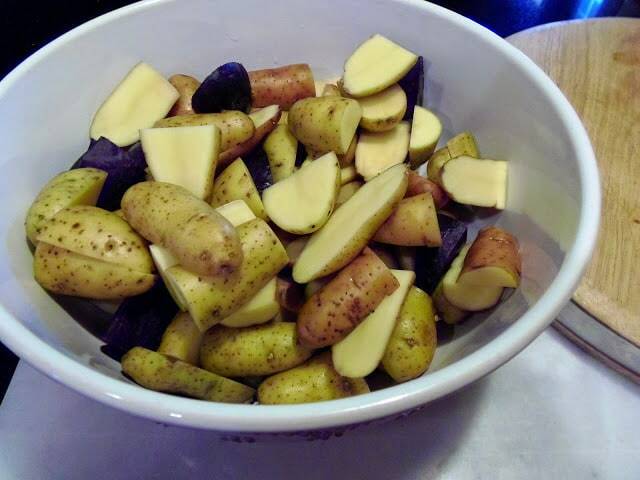 If you can’t find them, or if you want to use the regular all yellow fingerling potatoes, go for it. 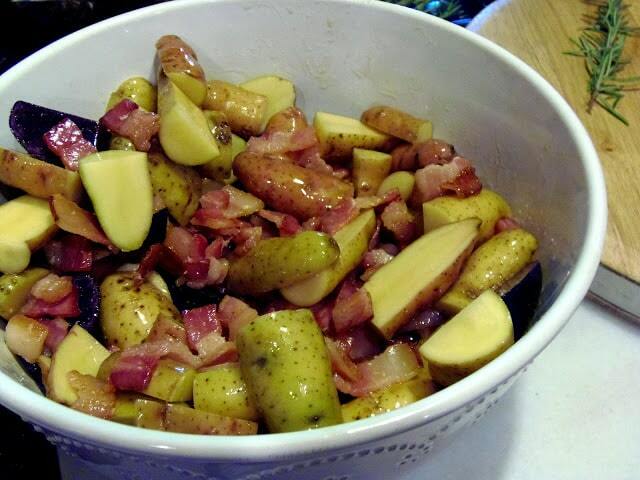 I honestly don’t notice any difference in taste between the purple potatoes and the yellow ones. 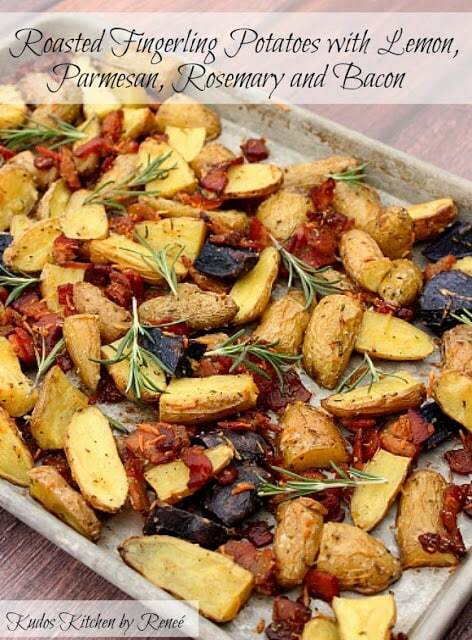 To me they’re just something fun and different that will add a little extra pop of color to your side dish. 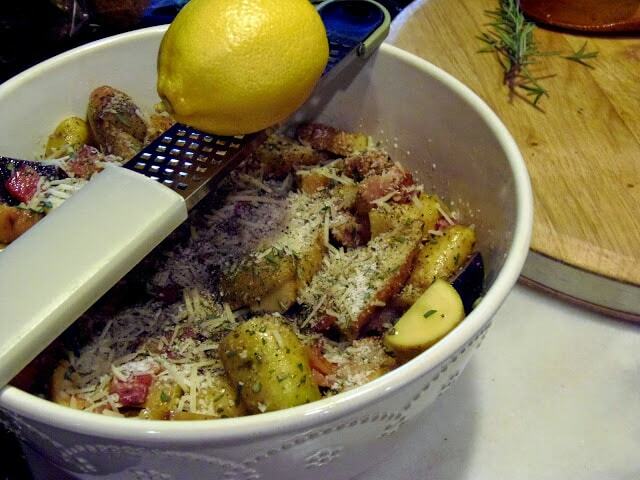 -Place all the ingredients (except the rosemary sprigs for garnish) in a large bowl. 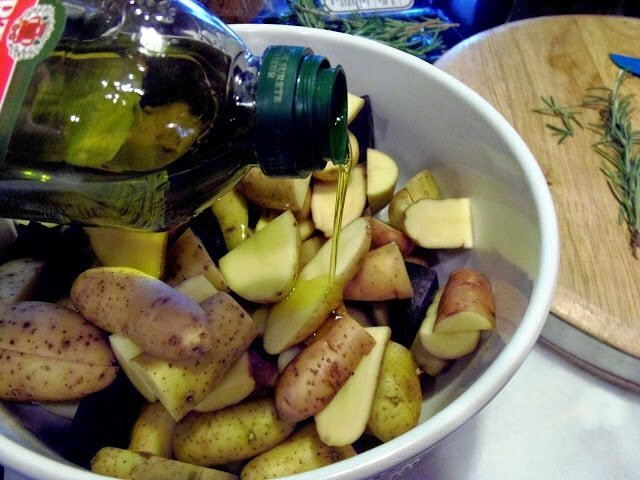 Toss to coat the potatoes evenly with the oil. 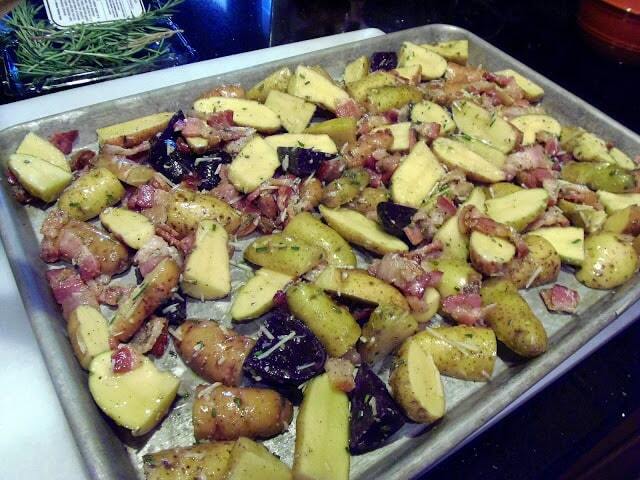 Spread the potatoes evenly out onto a baking sheet. 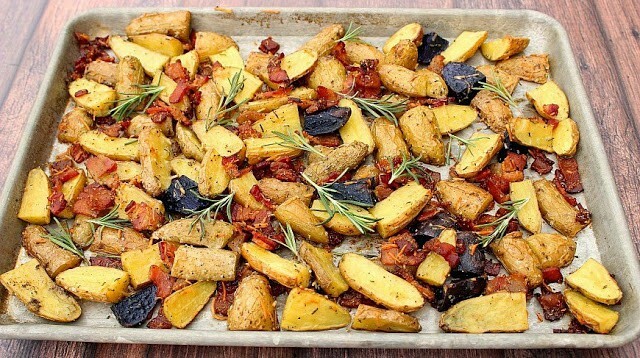 -Roast in a preheated oven for 30 minutes or until the potatoes are fork tender, and the partially cooked bacon is crispy. 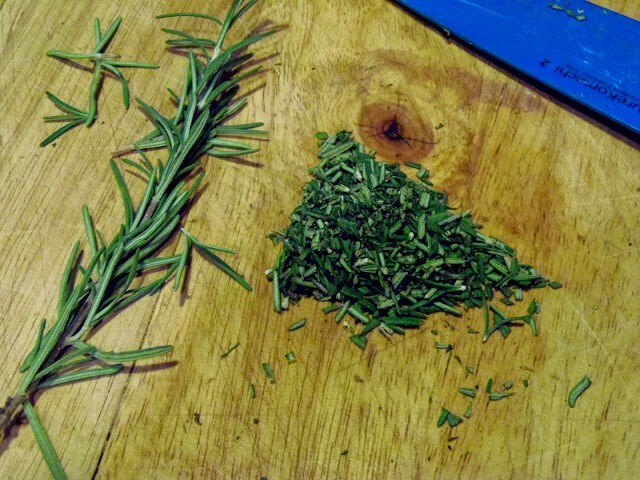 Garnish with fresh rosemary sprigs and serve. 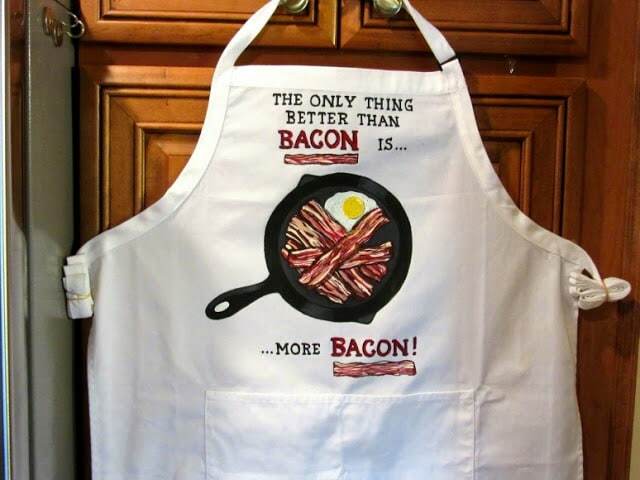 This apron, and many more like it are available in my Etsy shop along with my hand painted glassware. I hope you’ll visit me there sometime and have a look around. Custom orders are always welcome, and I will happily work from any photo, idea or description you have in mind. 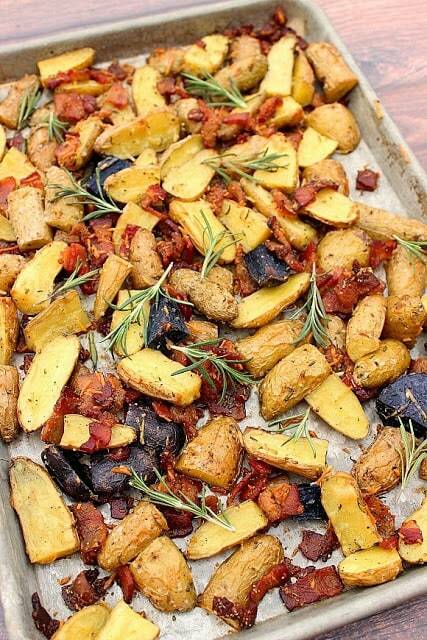 A fried of our made a recipe similar to this on the grill the other day, they were delicious. I can't wait to try these.